I am the first to admit I am not really a big wave guy. I guess its growing up sailing at Brogborough Lake; great for many aspects of windsurfing, but a bit weak in the big wave department. Today we had a heli shoot booked and it was actually super fun. The big ones were generally bumpy and closing out, but some of the medium ones were great. 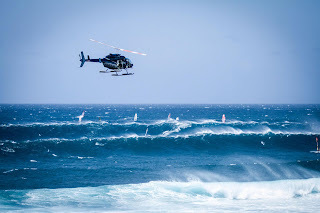 It was one of those classic Hookipa photoshoot days when the whole windsurfing world was on the water at some point, and everyone charging. Tomorrow its supposed to drop a bit, so for me I think it could be even better! Thanks to Justin Denel for the photo. He is our new team rider on RRD sails and has been ripping. 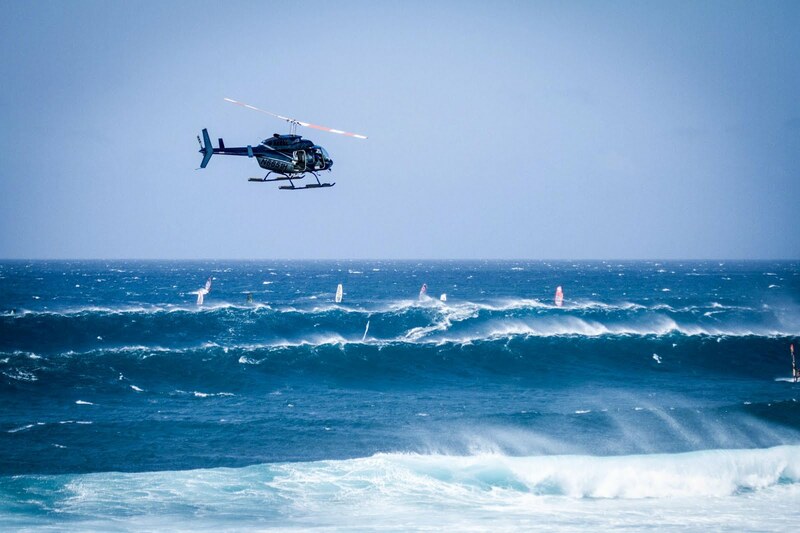 Today was only his 5th time sailing Hookipa and he was charging.